Someday is the word that keeps Mercy and Mick going. Someday, the world around them will accept that a Maliseet Indian and farmers daughter can be together. But in 1954, that someday seems like it might be a ways off. Especially when things start to change for the four Maine tribes. 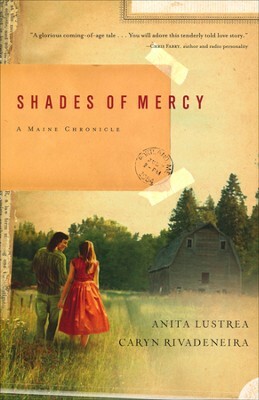 Set up as the first part of Mercy's story, this coming of age tale is bound to delight readers. I loved the sspiritual aspect of the story, but I also really liked the historical side. I look forward to the next part of the story! Jack Hawthorne is back, with another exciting archaeological quest! Ten years have passed since Serpent of Moses, and life has settled down. He and Espy are happily married with two young boys, when one of their past adventures comes back to haunt them. 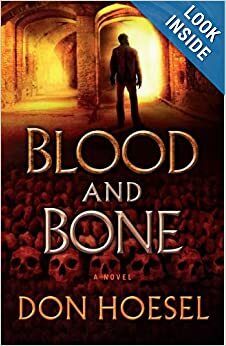 Set on the run, and with their boys held as hostages, they must race the clock to find the bones of Elisha and uncover the secret organization behind caring for the bones. This book is bound to delight old and new fans, as it is exciting and interesting! The story was enjoyable and kept me on the edge of my seat. Two thumbs up! Regina Beswick found her destiny when she left the corporate world to work with an old family friend restoring cars. When Hessenberg looks into their long lost heir, the thromeAs Reggie works to uncover her claim to the throne, she must decide if her destiny really is to restore old cars or to rule a nation. As Sara celebrates her 30th birthday, she experiences a restlessness she cannot describe. Married to a man she adores and owning a business she loves, Sara doesn't know what more she could want out of life. 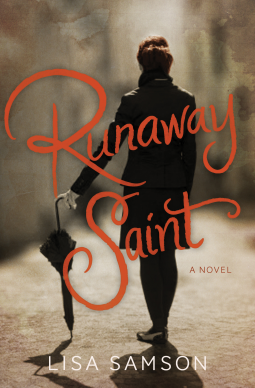 But, then her aunt Bel returns from a nomadic life as a missionary, Sara's life becomes fuller. Filled with unique characters who jump from the pages of this story, this book is quite enjoyable! I loved the style of the tale and how Lisa Samson writes. Two thumbs up! A while back, I posted about new authors I had found that I enjoyed. 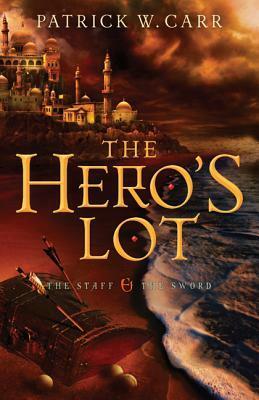 Patrick Carr was on that list, so I was thrilled to have the opportunity to read his second novel, The Hero's Lot. It did not disappoint! The characters were every bit as real and fun in this one as they were in A Cast of Stones! I liked that the story is about more than one character and that it keeps you on your toes. Two thumbs up! I'm looking forward to reading the third book in the series when it comes out. Drew's life has been filled with sorrow. When he starts college, he feels like the opportunity has been given to him to start a fresh. But, when he helps his friend, Ben, with an experiment that goes wrong, leaving Drew blind, things seem to go back to being awful. Things take a turn for the better though, when Drew's sight returns. Though, there is a glitch, since Drew can now see other beings that he dubs the "invaders". Can Drew figure out what is going on before they take over the world? I loved this book! It was part super hero, part spiritual warfare. The characters are well written and entertaining. I look forward to the rest of the series! The second book in the Edge of Freedom series is more about Ana Kavanagh, a young woman who survived the fire that took her mother and sister, only to have to hide out from her uncle. 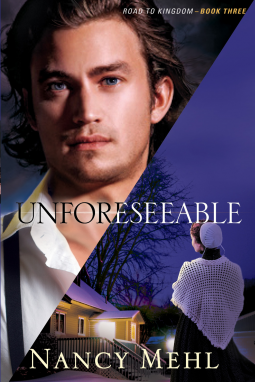 When her uncle discovers that the fire didn't take Ana as well, he attempts to find her. New and old characters come together in the second book of the series to bring another suspenseful story! I enjoyed the mystery and suspense with this novel and look forward to the next one! The Five Love Languages have been taken to a whole new level with this book, to help parents apply them to their children and make sure that they have a full love tank. I loved reading through this one, since it had a lot of good information about how to apply the Five Love Languages. There are stories to back up their examples, as well as ideas to help parents make sure their kids love tanks are filled. I think this is a great resource for parents. The second book in the Dear Daphne series finds Daphne making new friends in the town of Appleton as her search for true love continues. When a Southern belle moves into her neighborhood, her friendship challenges Daphne to put her best foot forward. Will Daphne find true love? Or will her year be up before she finds someone to spend the rest of her life with? I love Melody Carlson's books, with there fun story lines and interesting characters. They are cute, like a chick flick, and yet have some depth to them. 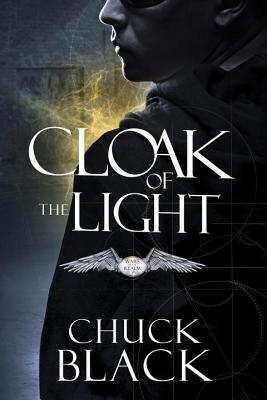 I'm lookimg forward to reading the next book in this series! When Beth Thatcher follows her heart to teach in Western Canada, much like her auntie Beth did in When Calls the Heart, her world opens up. Moving from a privileged home to a mining town, Beth must learn to adjust her expectations. I was thrilled to read another of Janette Oke's books, since she was the first Christian author I read as a teen. 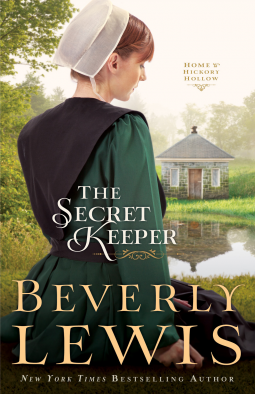 As I read through the first part of Beth's story, I was reminded just how much I enjoy Mrs. Oke's stories, since they are a wonderful mix of romance, adventure, and character development. I also love that Christ is the center of her novels. Two thumbs up! Calvin found a soul mate in his girlfriend, Stacey. His friends don't seem to understand his grief over losing his brother, but Stacey gets him. When she begins to take her dieting to the extreme though, Calvin wants to turn around and be her life line just as she has been his. But, nothing he says or does seems to help Stacey to see her God given beauty and stop her from going down the destructive path she has started on. Some things are truly only in God's hands. I thought that this was an excellent young adult novel! It addresses several topics that are, unfortunately, very prevalent in our society. I like that this novel was realistic, not putting down how serious eating disorders are and how hard it is to recover from them on your own. This is an awesome debut novel! 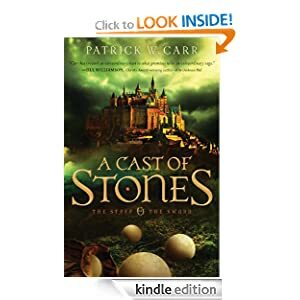 In 5th Century Britain, a black stone crashes into a small town and seems to bewitch anyone who comes in contact with it, giving hope to the Druids who hope to destroy the kingdom. The only hope seems to be in the most unlikely of hero's, shy Merlin, the swordsmith's son. I like how this story incorporated more than just Merlin, as Arthur is in it, as well as the sword, Excalibur. 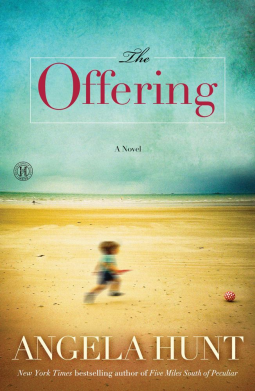 I think that it is wonderful that there is more Christian fiction for young adult's coming out. I especially like historical/fantasy books that have been coming out recently. Zondervan is doing a wonderful job at making sure there is tons to choose from for Christian teens. Two thumbs up! The complete Change and Cherish trilogy now released in one volume to enjoy (which is great, since now you won't have to wait to continue the story:)). 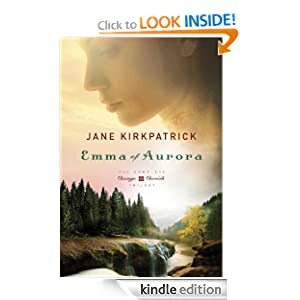 This trilogy is the true story of Emma Wagner Giesy, an outspoken pioneer woman who is ahead of her time in the 1850's. When she jumps at the chance to move West, away from the community she finds so constrictive, she is surprised to find that she misses being in a community. As her story unfolds, she must figure out how to stay true to herself through the challenges that come her way. The size of this book is a bit daunting, but it's nice to have all three books in one! High school can be cruel, ask Melissa Keiser. When her family moves back to Anna Marie Island her Junior year, she wonders if anything has changed in the years since they moved away. When she left, she had become the object of the popular crowds jokes for liking Sam King,earning her the nickname "Messy". Some things have changed, and Melissa soon finds herself in the cool crowd. 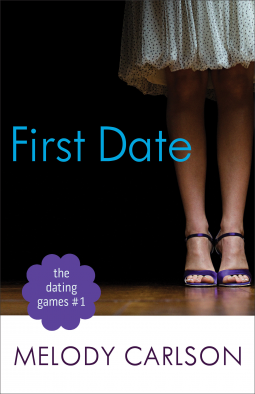 Will hanging out with the right crowd help fill the hole left in her heart by her absent father? Or is there something bigger out there? This book was interesting, in a good way. I like that it isn't just another young adult novel, but actually addressed some issues; like bullying. The characters were unique and the story kept you on edge. Two thumbs up! All Espy Estrada wanted was to have the chance to continue her education. And, get to know Warren Brentwood III better. But, with being born into a poor family, both seem to be just out of her reach. When she begins working for a Professor and his wife as a maid, things seem to change as she is allowed access to the professors library. As she starts being tutored by the professor, the rumors begin to fly, and Espy leaves town in disgrace. Can a missionary family help her learn how to trust again? I feel kind of torn about this book. There were elements that I liked, the fact that there was more going on then the synopsis leads you to believe, but then I didn't care for some of the characters. I did like the out come though, and how Espy draws closer to God. When young Levi returns to his homeland, only to find it decimated and his fiance taken, he must turn to the Safe Lands for refuge. But, when he gets there he finds out that the so called Safe Lands, a walled city, might not live up to its name. Others are facing choices as well. Omar betrayed his brother in order to have him away when their place was destroyed, since he no longer wants to cling to the old ways. And Mason must race against the clock in order to find a cure for the virus destroying the Safe Lands. This is an incredible new dystopian series by an author who may quickly become a favorite! I liked the Biblical parallels and truths hidden in the story. I can't wait to read the sequels! In this modern day fairy tale, Julianne feels that she has found her prince charming when she sees a young construction worker almost cause an accident in order to save a dog. When his tool box and work boot fall off, Julianne takes it as a sign to contact him and get to know him better. 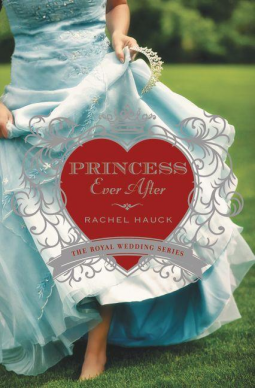 But, as she gets to know Paul, she discovers that her Prince Charming might be closer to home than she originally thought. 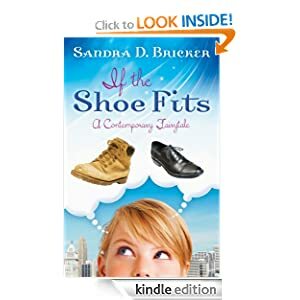 If the Shoe Fits is a cute modern day tale of letting God work your love story out to be better than any fairy tale. I thought this was a cute story! It's 2250 and the world is a totally different place. There is only one source of water for the whole world, an aquifer under the earths surface, mined by people more like rats and only accessed by the Deliver and his decendants, as they are the only ones trusted with the code to deliver the rats light rods and ensure another year of water. Luca is set to be the next Deliver, a job he hopes not to take on for years to come. But, when his father mysteriously disappears, Luca must uncover the mysteries behind the world's history in order to figure out how to move forward. I thought this story was fascinating and imaginative! Two thumbs up! When Kieran Mullaney decides to take on suing the Hanford Nuclear Facility for exposure to radiation at a facility that was supposedly shut down, he doesn't realize that he is fighting a losing battle. Living in a small town that is made up of generations of Hanford workers, he has little chance to succeed. When his lawyer backs out at the last minute, seeing it as a fight she can't win, Kieran contacts his college friend to help him out. As Emily and her estranged father, Ryan, seek to race the clock and uncover proof for Kieran, they also work through some of their own difficulties. I loved this book! 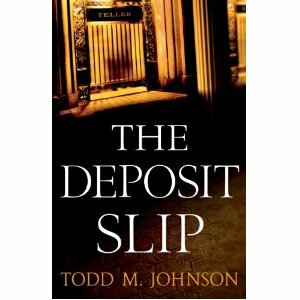 While Todd Johnson's first book was amazing, I think that Critical Reaction is even better than The Deposit Slip! The suspense is fine tuned, the characters are more realistic, and the story wraps up nicely. Two thumbs up! When Jonathan and Leah Wilson-Hartgrove move to a new town, they decide to take on the challenge of opening their doors to any stranger who comes to them. This book is filled with the testimonies and heartache that came out of that ongoing experience. Even though there are risks involved, Jonathan and Leah were able to be part of something bigger than they imagined as they watched Jesus change lives through their opening their door and hearts to strangers. This book will challenge you to look at your life and how you can take on opening your arms to the strangers around you. I highly recommend it! I failed to mention earlier, but little baby Aster (her nickname for here) joined our family back in September! She came 17 days early, which wound up being a blessing, since I had a bit of hypertension towards the end of my pregnancy. Enough so, that I had to have some tests done to make sure I didn't have per-eclampsia (which came back negative, praise God!) and there was talk that I might have to be induced. So, I was more than thrilled when she decided to come on her own! I was able to have her at home, like we wanted, though not at our home, as we were at my parents house when the contractions started really going somewhere. With it being so early, I figured that we weren't going to have a baby anytime soon: I wasn't even convinced that I was actually in labor until the contractions grew close together and more intense. ;) My in-laws give us a hard time for not calling them soon, it took their calling us to find out we were in labor! That would be because they called right after we figured that it was the real deal. ;) We were a bit disorganized with things like calling family, since she just came so fast and before we thought she would. Anyway, after over just eight hours of hard labor, Aster joined us! I thought I would want to sleep as soon as she was here, since I pushed for so long, but then she was here and I couldn't sleep! lol. I just wanted to take in our little bundle of joy. Almost two months later, I still am in awe that this little miracle is part of our family. The second book in The Texas Trail Series finds Jud Morgan full of hope at having found his younger sister who disappeared with the Comanche 12 years before. As Taabe Waipu seeks to learn English again to tell her story, settlers who have lost children to the Comanche come from all around Texas to see if she could be their missing child. As Taabe learns her native language again, snippets of her previous life, before captivity, start coming back to her. I thought this book was well written, bringing to life a character who was taken from all that was familiar and now must re-learn English and a different way of life that the one she has lived the last decade. I look forward to reading the rest of this series! Sometimes, it seems like(to me anyway) that a lot of fiction out there winds up being the same old predictable stories. Recently though, I have come across some new authors that are shaking things up, so I thought I would post about some of them here. I adored this book! Totally unpredictable, this author is a must, especially if you are into legal fiction without to much of the legalese. 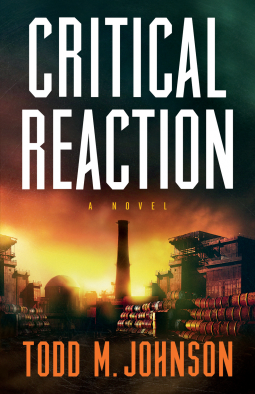 I'm looking forward to opening his second book, Critical Reaction. Okay, I will admit it, I was drawn to this book from the moment I heard it was coming out, just because of the title. 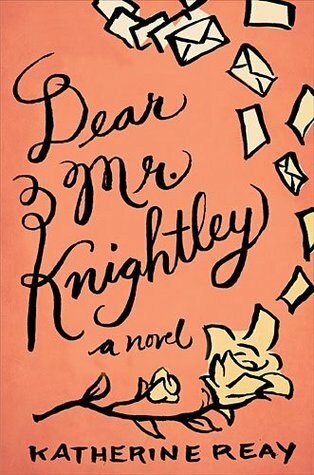 Mr. Knightley is, by far, my most favorite literary hero of all time. So, I knew I had to read this one as soon as I could get my hands on it. Bread making has been passed from mother to daughter for generations in Liesl's family, so she feels that it is only natural for her to have her own bakery. When one of her employee's gets Liesl a spot on Bake-Off, a popular show on the food channel, Liesl's solitary world changes. As her baking family grows and she deals with fame, Liesl comes to the point where she must choose whether or not she wants to open her heart to love. 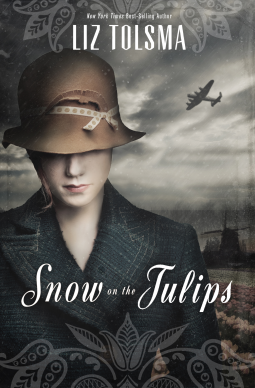 Part memoirs, part history, with Liesl's current story thrown into the mix, this book is a unique story. I like the recipes that are included and hope to try some of them! I had a hard time relating to the main character though, since she was very distant. I still found this book interesting though and would recommend it. World War II has already taken so much from young Cornelia. So much, that she just wants to turn her back on the whole affair and wait for the Allies to come save the Netherlands from the Germans. But, when Gerrit Laninga's execution is botched near her home, she must decide if she is willing to put her life on the line for this young Resistance worker who has places God and country above personal safety and romance. As Cornelia and her family struggle to figure out what God would have them do, Cornelia finds herself falling for the dangerous man. 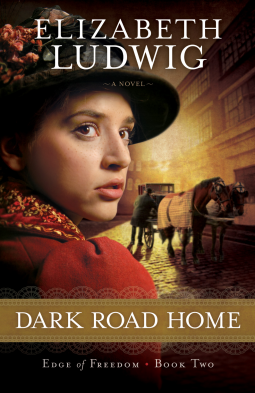 Based on real events in Liz Tolsma's own family, this novel is rich in history and detail. I loved the characters and their personal struggles, as I would imagine it is hard to be placed in a situation where you know the right thing to do would be to fight the evil, even when you want to bury your head in the sand. Chandra Olsen accepts the chance to be a judge on Fifteen Minutes, the very show that made her an overnight sensation, with the hope of helping contestants see fame for what it really is to her: a prison. When Zack Dylan auditions, she sees in herself in him, a young person with talent who would be better off living a simpler life than attempting to stay wholesome while in the limelight. As Zack is launched onto the National stage, one of the other judges on the show is attempting to keep hold of her fame. Could Chandra help Kelly make the right choices? 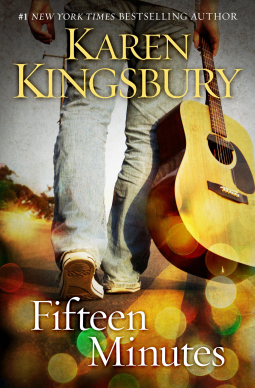 Karen Kingsbury has created another masterpiece with Fifteen Minutes, showing that fame can be both a blessing and a curse with this cast of realistic characters. It sure makes you think about fame in a different light! Robin Jones Gunn and longtime friend/Sisterchick Cindy Hannan come together with Take Flight to bring readers a devotional unlike any other! Filled with stories, observations, scripture verses, and quotes (both from the series and from Sisterchicks in the faith) this devotional is a joy to go through and study! I love the way it is laid out and how there is room for your own thoughts and notes. 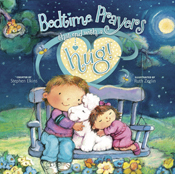 It is a wonderful way to add some pep to your personal devotions or to encourage you to do devotionals with friends. This book is a true delight! Treha is a special young woman who is able to connect with Alzheimer patients and draw them out, connecting in a way that helps people talk who haven't talked in months and helping clear memories. The only thing is, Treha doesn't remember her own past. When her life takes a dramatic change, Treha strikes out on a journey to discover more about her past, so she can figure out how to move forward. I loved this story! It has a lot going on with all the different characters and then there is a bit of a mystery surrounding Treha's gift. I like that the main theme of the story is that everyone has worth, if we just slow down and take the time to connect. I look forward to reading more by Chris Fabry! This modern version of Daddy Long Legs tells the story of Samantha Moore, a young woman who survived the foster care system and all its disappointments by retreating behind her books, namely the classics. When the opportunity arises for her to have her masters paid for from a prestigious school of Journalism, with the one catch being that she has to write the mysterious foundation president to keep him up to date on her progress. 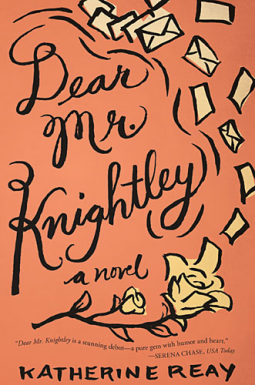 Even though trust doesn't come easy for her, she opens up to "Mr. Knightley", figuring that she can trust someone who picked such a honorable character as a pseudonym. As Sam goes through the program, she learns a lot about writing, making friends, and love. While I admit that I originally picked up this book because of the title (I'm like Sam, Mr Knightley is one of my favorite hero's. lol), I wound up falling in love with the characters and story! Sam is very real as she struggles with letting people get to know her. This is now one of my new favorite romances! I look forward to reading more by this new author, since this was a stellar first novel! In the third book of the Road the Kingdom series, the small Mennonite town is again facing a mystery, that of a serial killer who has popped up again after being silent for twenty years. As the town tries to work through their struggles seeing eye to eye over the push to become less conservative, they must band together to see that one of their own won't become the next victim. Through it all, Callie Hoffman must decide where her heart is, and what to do about her recent bursts of anger. I wasn't sure when I first started this one, if I would like it as much as the previous books in the series, since I thought it might bother me that the mystery had to do with a serial killer who targeted woman. I'm glad that I stuck with this one though, since it wasn't graphic, nor all the story. In some ways, while I would classify this as a mystery, I would say it isn't just a mystery, as there is so much more to the story. I like that Callie has to figure out what she believes. This whole series is wonderful! 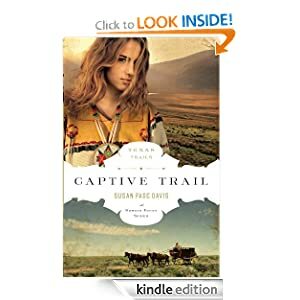 The third book of the Brides of Last Chance Ranch tells the story of Miranda Hunt, a woman operative for Pinkerton who is bent on proving herself, as a private eye and as a daughter worthy of the name Hunt. 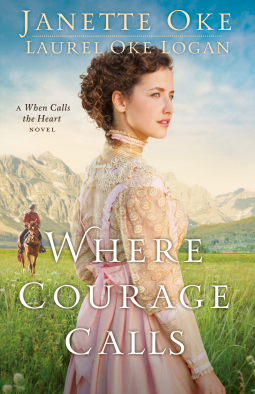 When she is sent to Last Chance Ranch, posing as an heiress applicant, to find the elusive Phantom, Miranda figures this is her opportunity to prove her worth. When she discovers the competition, Wells Fargo, has a detective there as well, she must choose between trust, which just might lead to love, or attempting to figure things out on her own. I thought this story was a fun blend of humor and history, with a neat message about trusting God, even when He doesn't always make sense. There was also a powerful message of hope, in a world that seems to have gone crazy. As a child, Susanna Smith insulted the cobblers son by insinuating that he wasn't good enough to be her prince. Years have passed since then, and Benjamin Ross is back in the area after earning his law degree, seeking to help those less fortunate. When Susanna is thrown into the middle of a mystery surrounding the deaths of several young women and a local runaway, she turns to Ben to help her seek justice. Can she put aside her own expectations? How far will she, as a Colonist, go to serve the crown? I thought this story was fun at first, then I got to the end and realized that it was inspired by John and Abigail Adams, which made me like it all the more! I like that Susanna had to grow in her thinking about what actions were right and what was wrong in the 1760's, struggling with how to be loyal to the king when the taxes were a burden to those who weren't as wealthy as her family. I also liked the relationship she had with Ben. There banter was fun! 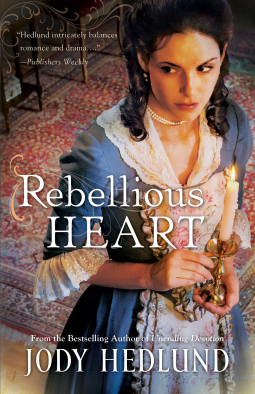 If you are looking for a good, historical romance,than this one is for you! When 5 high school girls decide they want dates to their Christian academy's homecoming, they form the DG, a secret group to help them break into dating. As the five girls navigate going about getting dates for homecoming, they discover truths about themselves and each other, drawing them closer together as a group of friends. 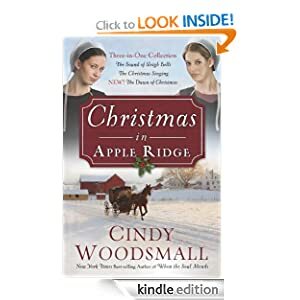 Curl up this Winter with Christmas in Apple Ridge, A collection of three novella's about the Amish in Apple Ridge, Pennsylvania. In The Sound of Sleigh Bells you will meet Beth, a young woman who is still suffering from the loss of her beau the year before. Weighed down with guilt, she struggles to learn how to carry on life with Henry gone. 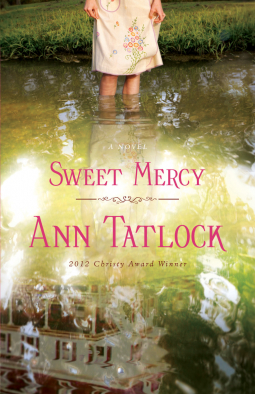 When her well meaning aunt tries to bring joy back into Beth's life, chaos ensues. The Christmas Singing tells the story of Mattie, a young woman who thought that life couldn't get any better as she plans to marry her sweetheart. 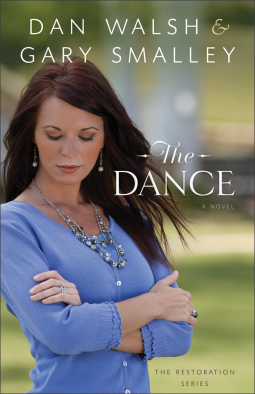 When he abruptly breaks the engagement, and her heart, Mattie must rebuild her life. Years latter, when she returns home, she finds that all might not of been how it met the eye. Will she have the courage to choose between her old beau and her new one? The Dawn of Christmas brings Sadie home from her years on the mission field in Peru. She found joy in her independence and working for the Lord, but could it be that a new chapter has opened in her life? When she attempts to discourage the meddlers in her life, she just might open herself up to romance. I enjoyed this collection of novella's immensely! Most of the time, I prefer a full fledged novel, since some novella's seem too short to really get to know the characters. That is not the case with this one! The stories and characters are richly portrayed. This book is perfect for the holidays! Just because you said your wedding vows, doesn't mean you should stop dating your spouse. In this nifty little handbook, Dr. Greg and Erin Smalley go through 52 different ideas for date nights with your spouse. 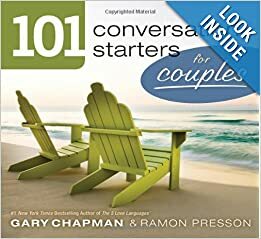 Filled with ideas for activities and questions to stimulate conversation on your dates, this book is a nice resource to have on hand whether you have been married for a short time or for decades. Having date nights as a couple is a great way to breath fresh life into your marriage and help you re-connect with your spouse. I thought that this book would make a nice gift for couples, since it would work well to help couples get out of the rut of every day. The nice thing is, the dates don't have to cost much. A lot of the emphasis is more on connecting through communication and focusing on your marriage. Excellent! Grabbing at the chance to escape the Depression, Eve Marryat's family moves back to Ohio to help out with her uncle's lodge. At first, all is as Eve remembered it from childhood, innocent and fun. When she discovers that many in the area are breaking the law of Prohibition though, she finds herself caught between doing what is right and going against those she loves. I rather enjoyed this book, since the story flowed nicely and there were several surprises along the way! I thought that it was a neat historical novel, showing how life was like in the 1930's. This one is a must! Jennifer Burns has always been considered an old soul. Mocked by her siblings as being born 100 years too late, she jumps at the chance to become Amish when her pen-pal invites her to convert. But, she soon finds that the Amish community is anything but simple as she navigates a new language and culture. This novel reminded me why Beverly Lewis is such a popular author! 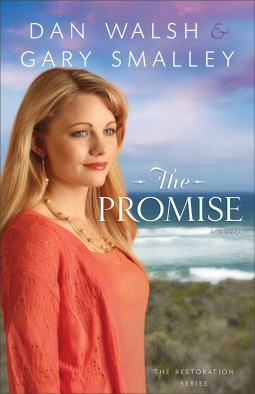 When librarian, Laura Griffith comes home to her sister missing, she quickly decides to hire Phoenix to find Darcy. Which, winds up being a good thing, since Darcy started out wanting to get away from those who love her to make a way for herself, but then she takes up with the wrong crowd and finds herself over her head. Will her sister and the team at Phoenix find her before it is too late for redemption? 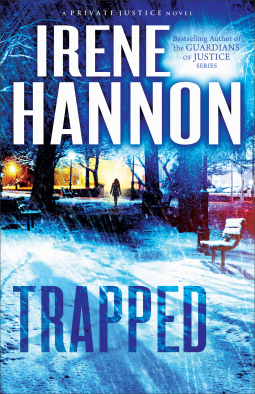 Filled with tons of suspense, Trapped will keep you on the edge of your seat until the last page! I loved this sequel to Vanished. In return for upsetting a client, Hospitality consultant Andrea Sullivan is given one last chance to redeem herself and snag the coveted position of VP. 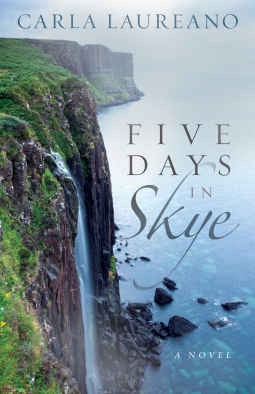 Sent to the Isle of Skye in order to get the contract for helping chef James MacDonald realize his dream of opening a hotel, Andrea just wants to get her work done and get home, so she can enjoy some of her vacation time. As she gets to know James though, she finds that things might not be so easy as she thought. What starts out as a nuisance to Andrea might just bring the healing that her heart needs. I thought this one was a cute, chick flick style book that wound up having more to it (in a good way!) then you originally think when you first crack it open. The characters were well written and I like that there wound up being more to the story then I thought there would be. Both Andrea and James develop nicely into characters that one can fall in love with. Mandy Lisandra thinks she stumbled on the perfect answer to her family's tight finances, being a surrogate mother. Thinking it will enable them to save for a house and for her to be able to go back to school, it seems like the perfect solution. But, no one expected her to lose her husband right before the birth of the little boy. Or, for her to accidentally give away her own son. Caught between longing for the son she and her husband talked of having and shattering the dreams of a couple unable to have their own children, Mandy must face her own past in able to make the right choice for her little boy. While this story was interesting and well researched, felt like it dragged on a bit. It was interesting to learn more about surrogacy though! Over 20 years ago, Dr. Lisbeth Hastings mother disappeared while her husband was working at a dig. No one ever found out what happened to her. Years later, Lisbeth is attempting to follow in her mom's footsteps by becoming a Dr. when she gets a letter from her dad that he may have found his wife. Unsure of her father's mental stability, Lisbeth rushes to the very last place she ever wanted to return. 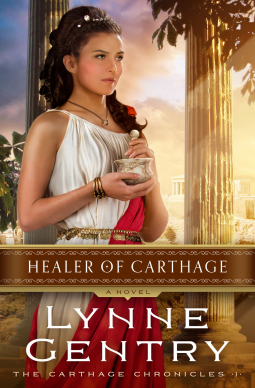 While exploring the mysterious cave in search of answers, Lisbeth finds herself thrown back in time to 3rd century Carthage, a place filled with political intrigue and under cover Christianity. With a mysterious illness threatening the city, Lisbeth attempts to put her doctoring skills to work without the use of modern day conveniences to help her out. While I liked this book and the idea behind it, I have to say that I was surprised with some of the language and corruption. Do I think that is how things were back then? Most likely, though I think that some of the gritty details were unnecessary. That said, I do think the book was well written and interesting. The ending was a bit muddled, especially when you discover that it is set up for a sequel. I give it a four out of five. Laurie and Hope are best friends (aka Sisterchicks) who decide to celebrate their fortieth birthdays with flair: take a trip to Hawaii! What better place to celebrate the milestone than the land of luaus, surfing, sunshine, and sun? And that is only the beginning of their adventure! Embracing the Creator and His plan for their lives is part of the fun! What would happen if all electronics around the globe failed simultaneously? If our way of life could no longer continue on due to everything we know being stripped away? 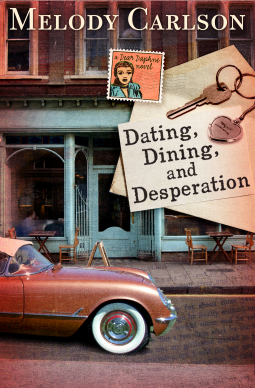 In the Restoration series, popular author, Terri Blackstock explores those possibilities. Doug and his daughter, Deni, are on their way home from a trip to Washington DC when the world goes silent, and planes begin to drop from the sky. Are they under some sort of terrorist attack? As they struggle home to see how the rest of the family is, they find that Birmingham has changed drastically. The once safe southern town is now filled with crime, including a murderer in their own neighborhood. As the family struggles to survive, they must also figure out who they can trust and how to be a light for Christ in a world gone dark. I've read a few of Terri Blackstock's other books, and while they were good, I think she out did herself with this novel! The story was creative and kept me on the edge of my seat, not to mention very well portrayed. The Branning family is one that we can all relate to. I loved reading about their struggle to step out of their comfort zone and put action into their faith! This series has an important message to all of us on living totally for God, even (or especially) when times are tough. I will be getting the other books in this series soon to see what happens to the Brannings! In the first book of the Sisterchick series, long time friends Sharon and Penny decide to go on an adventure to find Penny's aunt in Finland. At first, Sharon is reluctant to go on such a trip, after living a quiet life with her childhood sweetheart and four kids. Encouraged by her family and realizing she doesn't want to live life without going on a few adventures makes her realize that Finland is just the thing for her. Reading this novel made me want to set off on an adventure of my own! I fell in love with the characters and enjoyed reading their adventures. I can't wait to start the next one! The Anderson family seems to have it all, when you are on the outside looking in. But, when Jim comes home and discovers that his wife has walked out, he can't understand what could possible have gone wrong in their lives. As he seeks to really listen to his wife and put her needs first, loving her as the Bible talks about, he discovers a relationship he never thought possible. Based on the principles behind The DNA of Relationships, this series is not just about marriage, but about other relationships as well. Exhibiting through fiction how we can improve those relationships. In the second book, the Anderson family has weathered some storms and come through. When Jim's son, Tom, looses his job, he keeps it a secret for over 5 months. Hoping to find another IT position before his wife and family find out, he tells lie after lie, little realizing the damage that is being done. When things blow up, he must face the problems he has caused in his marriage as well as those he has with his father. Both of these books are excellent! I like that they are taking information from a non-fiction book and applying it to fiction, to give one examples of how to improve relationships. I look forward to the next book and seeing where the Anderson family goes from here!